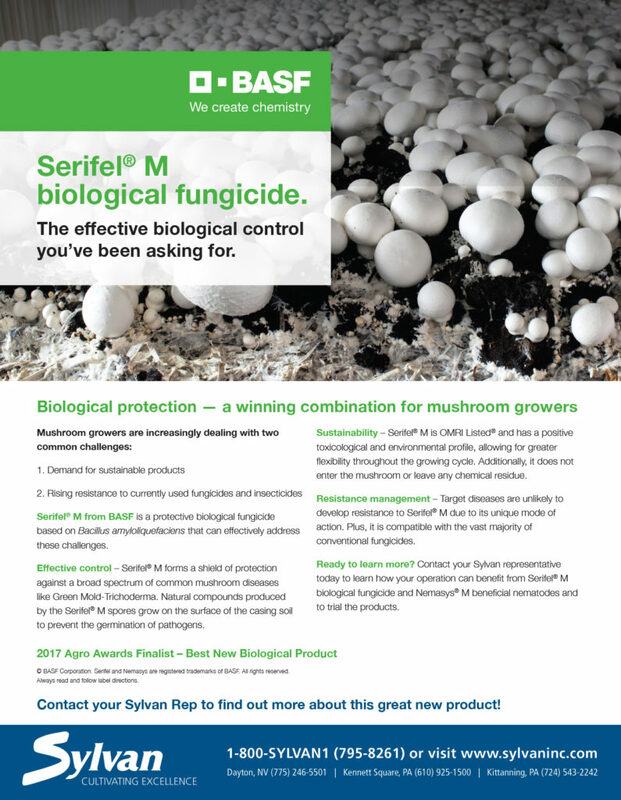 Serifel is quickly becoming the go to product for the mushroom grower’s battling Trichoderma disease. This OMRI certified product is exclusively distributed by Sylvan Inc. After successfully demonstrating Serifel’s efficacy against Trichoderma, BASF and Sylvan had the product registered in the US and is expected to be available in Canada in the Spring of 2018. For more information on this OMRI certified product, please call your Sylvan Rep.